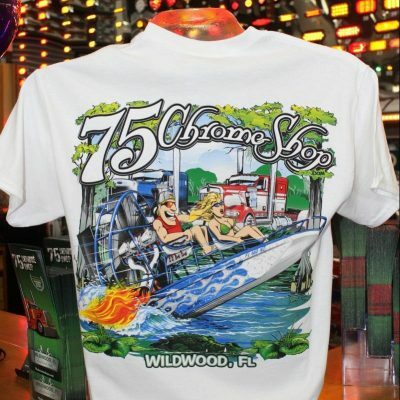 Keepin’ it old school! 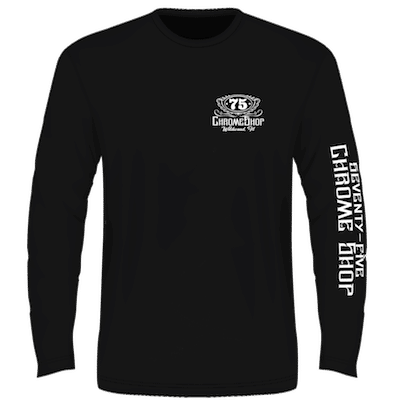 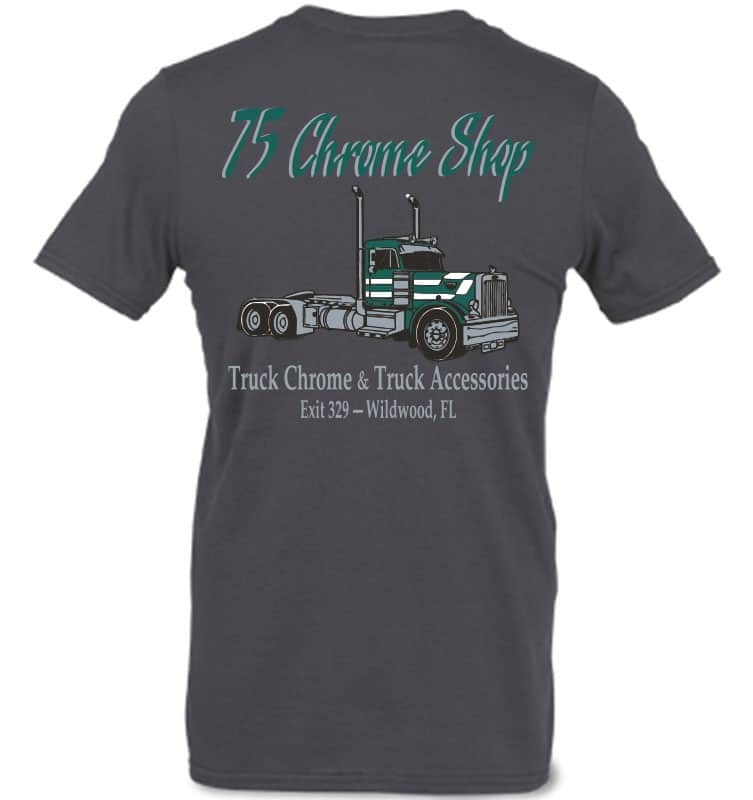 Our original 75 Chrome Shop truck t-shirt is back! 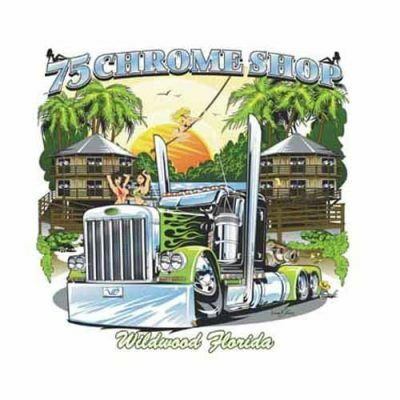 75 Chrome Shop logo on front with 359 Peterbilt on the back. Available sizes: Small – 3X Large. 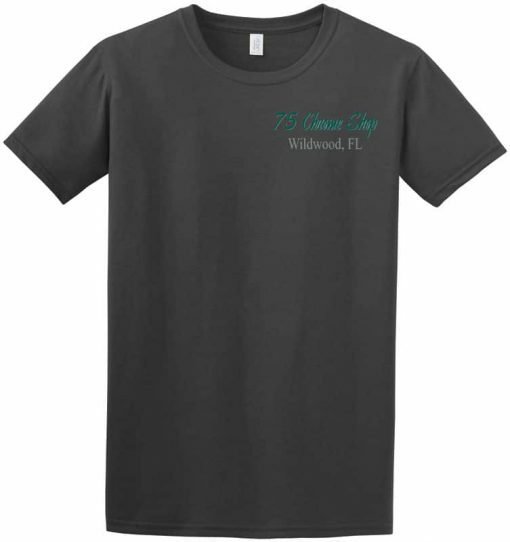 (2x – $21.99, 3x – 22.99). 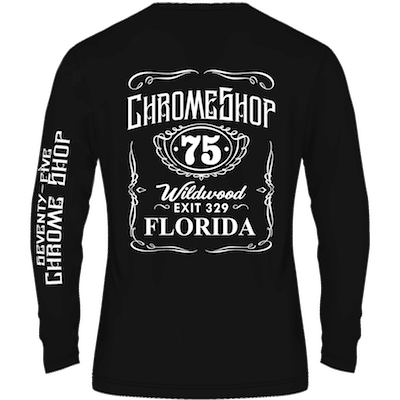 Sold by each.